If you want to build a strong body, you have to build a strong core. Your core is made up of all of the muscles of the abdomen, back, and pelvis. 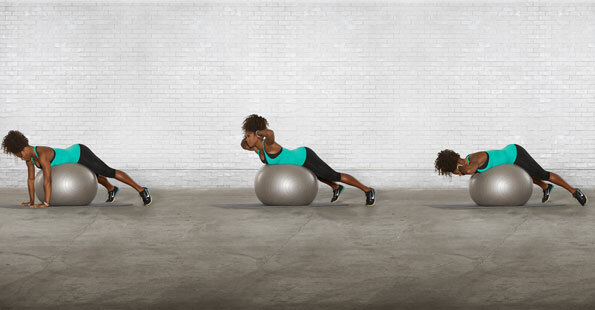 Having a strong core will assist you in all that you do, from daily chores to running and lifting in the gym. A strong core is also important to help avoid injuries of the lower back. There are so many programs available to strengthen your core, it’s hard to figure out what works and what doesn't. Below you’ll find new core exercises available exclusively on the Nike Training Club designed by American professional tennis player currently ranked no. 1 in women's singles tennis Serena Williams - do each drill for 1 min then repeat 2-3 times. *Need a push? Here is a 30 day NTC challenge starting April to complete this workout once a day. To join just let @TiaraBeth know via twitter or on her blog so she can hold you accountable. Serena behind the scenes as she films her NTC workout. Love your post and I'm so excited for this workout! Hope you're doing well! Thank you and I've done the workout 2x already and I must say you will def feel the burn in your core.